Hughes and Salvidge operatives have discovered a little piece of Royal Navy history on our project in Portsea, Portsmouth. During demolition of the buildings encompassed on the plot of land between Queen Street, Wickham Street, Old Star Place and Havant Street, a fascinating artefact came to light. 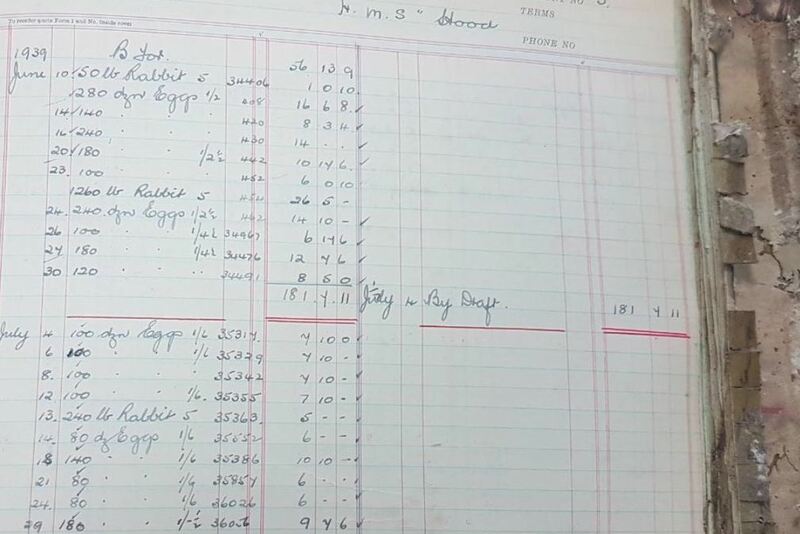 A ledger from the food wholesaler Norreys & Sons, previous occupiers of the premises, was discovered among the site debris – and it detailed sales to The Royal Navy, local commercial businesses, local hospitals and individuals from Portsmouth between 1934 and 1941. This timeframe of course included the start of the Second World War and according to the ledger, Norreys & Sons provided substantial food supplies to a significant amount of the Royal Navy fleet and bases during this crucial period. Among the hundreds of pages of records were transactions of supplies to many famous Royal Navy ships, including battlecruiser HMS Hood, famously sunk by the German battleship Bismarck in May 1941, and supplies to the aircraft carrier HMS Ark Royal, who contributed to the sinking of the Bismarck before being subsequently attacked and sunk by a German U-Boat itself later in 1941. 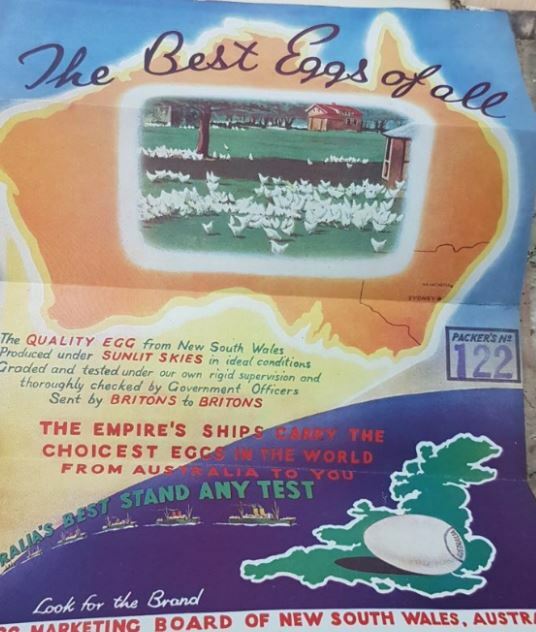 Portsmouth businesses, such as the former Kimbells Ballroom in Osborne Road, Southsea, are also included in the ledger, as well as several letters, invoices and the following advertising poster from the period. Upon discovery, we contacted the National Museum of the Royal Navy to offer donation of the ledger for their records or exhibition and we are delighted that they have confirmed they will take receipt in the New Year.